We welcome and encourage day passes at Twin Ponds Lodge. These give you access to all the facilities for the full day (Please see the hours on the Home Page). Each Day Pass includes a large half-height locker in our locker room, and a fluffy towel. You will have full access to the grounds, sunning areas, trails, ponds, pool, sauna, hot tub, shower room, and recreation rooms. You’re sure to make new friends and meet old acquaintances while you’re here. Check out our Rates and Reservations page for day pass rates. We have plenty of lockers and we don’t take reservations, but we may run out of lockers on very busy nights and peak summer days. 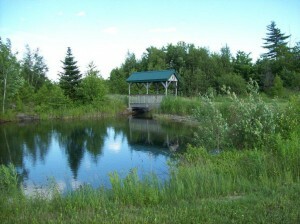 Please note that you MUST be a member of the private club at Twin Ponds Lodge to utilize the facilities. If you are interested in a tour prior to becoming a member, please call the Lodge at 207-437-2200.